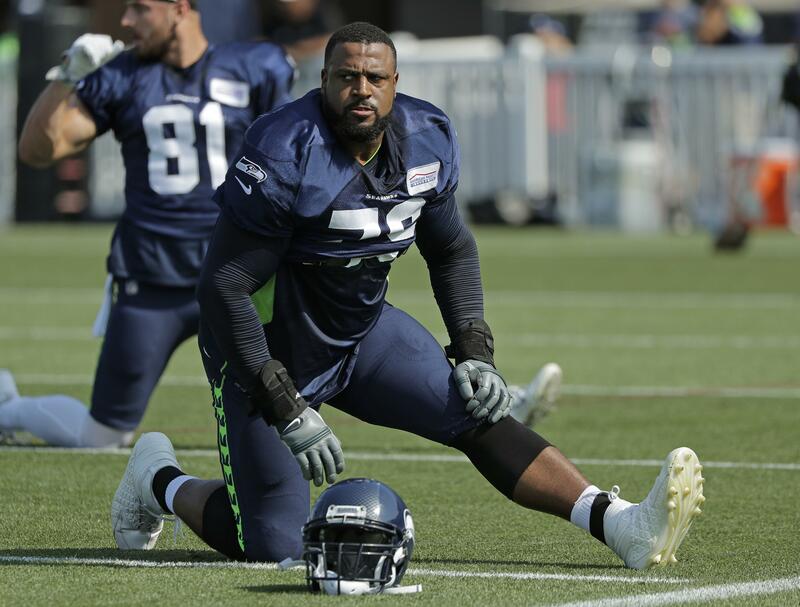 Matt Calkins: Did Earl Thomas watch and learn from Duane Brown’s holdout? Mon., July 30, 2018, 6:50 p.m. If you’re Earl Thomas, and you’re looking at the three-year, $36.5 million extension the Seahawks just gave Duane Brown, what are you thinking? Are you happy that your 32-year-old teammate secured a lucrative contract at the tail end of his career? Are you ticked that your team took care of a man who’s played nine games here while you’re entering your ninth year? Or are you thinking “see, this is why you hold out. Because despite all the drama and lost game checks, Duane eventually got what he wanted.”? Sunday, Brown met with the media for the first time since inking that deal. He expressed gratitude, joy, and all the other emotions you’d expect from someone who just bulked up his bank account. Then came an interesting question: Does this make going through the holdout worth it? Clearly unhappy in Houston, Brown opted not to show up for Texans training camp last summer despite having two years left on his contract. He ended up skipping the first seven games of the season, too, which cost him just shy of $4 million in game checks. He returned for Game No. 8 knowing that if he wasn’t active for at least six games, the 2017 season probably wouldn’t have counted toward his contract, and the Texans would have had his rights through 2019. The Seahawks acquired him two weeks later for a pair of draft picks. A holdout played to perfection? It’s hard to say that outright given all the money Brown gave up. Four million dollars is more than most people will make in their lifetimes, and those game checks don’t magically return to your pocket. That said, he made it clear that he felt disrespected in Houston and didn’t want to be there. That feeling was amplified after Texans owner Bob McNair commented that he didn’t want “the inmates running the prison” in regards to the national anthem protests. Had Brown not held out, the Seahawks likely wouldn’t have pursued him, and the Texans likely wouldn’t have traded him. Had he not been stubborn, he would be in a far less desirable situation right now. I’m not necessarily endorsing holdouts, as many of them have been ill-advised and costly to a team’s win column. But there have been others that, despite the ire they caused fan bases and franchises, paid major dividends to the individual. So how does this relate to Thomas? It’s obviously not a direct comparison, as Brown wasn’t asking to be the highest paid left tackle in football. His salary isn’t on par with the best players at his position, whereas the consensus is that Earl wants more cash than any other free safety in the league. But there is a comparison in that Thomas – who hasn’t been shy about expressing what he feels is disrespect from the Seahawks – is becoming more and more disgruntled. And there is the fact, like Brown in Houston, Earl lacks leverage within an organization that is “retooling” at the moment. Holdouts are generally a mix of principles and pride. They are gambles that can cause unnecessary tension – but even the losing bets are generally forgiven. Kam Chancellor’s holdout in 2015 was considered a colossal fail. He missed the first two games of the season, both of which the Seahawks lost, and came back with no changes to his contract. Yet in 2017, Chancellor received a three-year $36-million extension worth $13 million in fully guaranteed money, and was still one of the more beloved players on the team. Fans can criticize Thomas all they want for skipping camp. Frankly, I think much of the criticism is warranted. But the man isn’t happy and seems willing to fight to get what he wants. Brown went the same route in Houston and came out better for it. Don’t think Thomas didn’t notice. Published: July 30, 2018, 6:50 p.m.